Full membership applies to those, who hold a graduate degree in Audiology from a Canadian university and/or, who are licensed by a province or territory to practice audiology in Canada. Early Career membership applies to those who hold a graduate degree in Audiology from a Canadian University and/or, who are licensed by a province or territory to practice audiology in Canada. Early Career membership is valid for one year after the member graduates from school. Affiliate membership applies exclusively to professionals from related fields that consequently do not hold a degree in audiology. International membership applies to those who reside outside of Canada and possess formal academic training and/or clinical or research experience in the area of audiology, or a related field. Retired membership status applies to those previously licensed to practice audiology in Canada and have left the workforce with no intention of re-entry. Student membership applies to those who are currently enrolled in a graduate program in Audiology or a related field. Click here for information on honourary members. If you purchase your membership in February 2019, it will be for the 2019/2020 membership year. who are licensed by a province or territory to practice audiology in Canada. All applicants for full membership shall submit an official application form to the Canadian Academy of Audiology (CAA) accompanied by the appropriate fees. All applications shall be reviewed by the Membership Committee which shall make a final decision regarding the acceptance of applicants for membership. Any applicant who receives a majority of affirmative votes shall be accepted as a member of the Academy. Early Career membership applies to those who hold a graduate degree in Audiology from a Canadian University and/or, who are licensed by a province or territory to practise audiology in Canada. Early Career membership is valid for one year after the member graduates from school. valid for one year after the member graduates from school. For the 2018-2019 CAA membership year this would mean graduates from 2017. 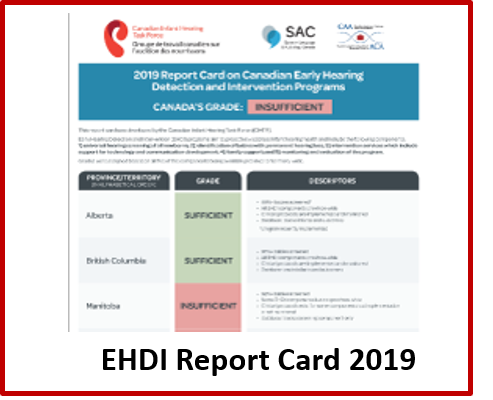 All applicants for Early Career membership shall submit an official application form to the Canadian Academy of Audiology (CAA) accompanied by the appropriate fees. All applications shall be reviewed by the Membership Committee which shall make a final decision regarding the acceptance of applicants for membership. Any applicant who receives a majority of affirmative votes shall be accepted as a member of the Academy. Affiliate membership applies exclusively to professionals from related fields that consequently do not hold a degree in audiology. Three members of the Academy must attest to the applicant’s qualifications and suitability for Affiliate membership. Affiliate members may not vote or hold office, but shall receive all Academy publications and materials and are entitled to all other benefits of membership. Affiliate members are prohibited from using affiliation with the Academy for the promotion of commercial products or services. International membership applies to those who reside outside of Canada and possess formal academic training and/or clinical or research experience in the area of audiology, or a related field. International members shall not vote or hold office, but shall receive all Academy publications and materials and are entitled to all other benefits of membership. Retired membership status applies to those previously licensed to practice audiology in Canada and have left the workforce with no intention of re-entry. Retired members may not vote or hold office, but shall receive all Academy publications and materials and are entitled to all other benefits of membership. Student membership applies to those who are currently enrolled in a graduate program in Audiology or a related field. The Board of Directors may prescribe reduced fees for student members. Student members may not vote or hold office, but shall receive all Academy publications and materials and are entitled to all other benefits of membership. Honorary members are those who, upon a majority vote from the Board of Directors, may be received this designation. Honourary membership may be awarded to any person, whether an audiologist or not, in recognition of outstanding service to the Academy, or to the profession of audiology. Honourary members shall not have a vote in the affairs of the Academy, and shall not be subject to dues. CAA has moved to a annual renewal date. As of 2014, all memberships renew on March 1st. For your convenience we are also offering an automatic renewal option. Many members have requested an automatic renewal option to make it easy for them to keep their CAA membership up to date, and this helps avoid late fees. You will be given this option at the time of renewal, and can change your decision at any time using the web service. 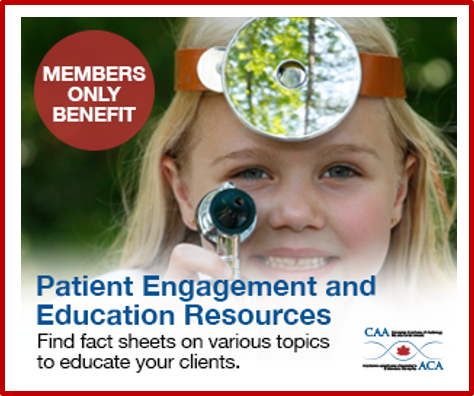 We encourage you to maintain your CAA membership status so that we can continue to offer value for members (e.g., the CAA conference, the Canadian Hearing Report, CAA website resources) and represent your professional interests. Please check your membership profile to identify your membership expiry date. A note on security: all monetary transactions are processed by our e-commerce service (Moneris). When you make payments on the CAA website you are moved to the completely separate highly secure Moneris site. No financial payment information is visible on the CAA web site or stored by the CAA. Moneris has complete security to protect your information. Refund Policy. Refunds for membership dues are not granted. For more information, contact CAA.